Would you like to work “hands on” with a Henrico County family, senior, or disabled adult who has met our guidelines? Become a sponsor! Families selected to be sponsored have special needs that we are unable to fulfill from our warehouse. 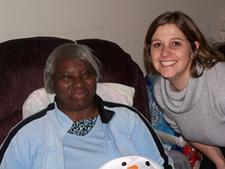 Gifts are made directly to the sponsored family and do not constitute a donation to Henrico Christmas Mother. As such, the gifts are not considered a tax-deductible donation to a charitable 501(c)(3). We can also be reached at 804-236-9741.